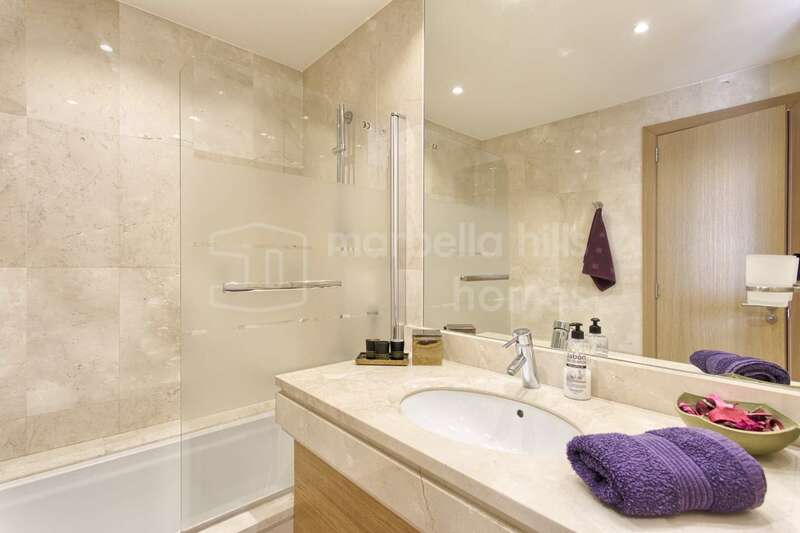 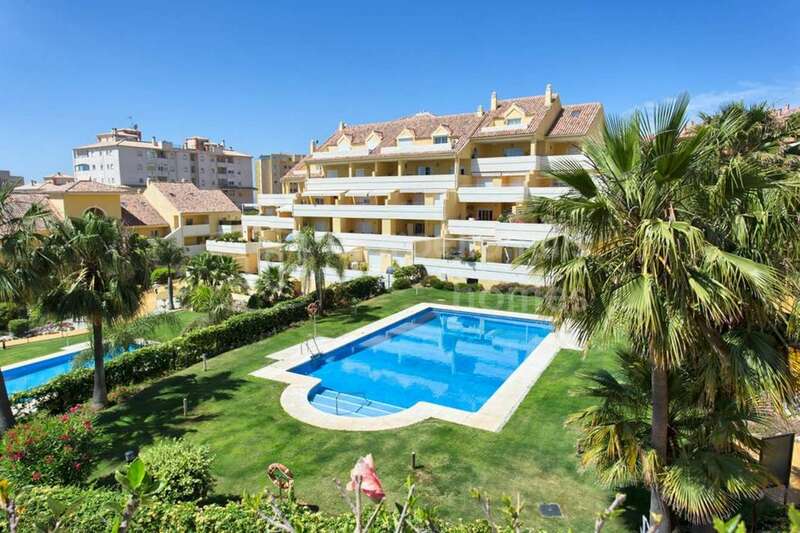 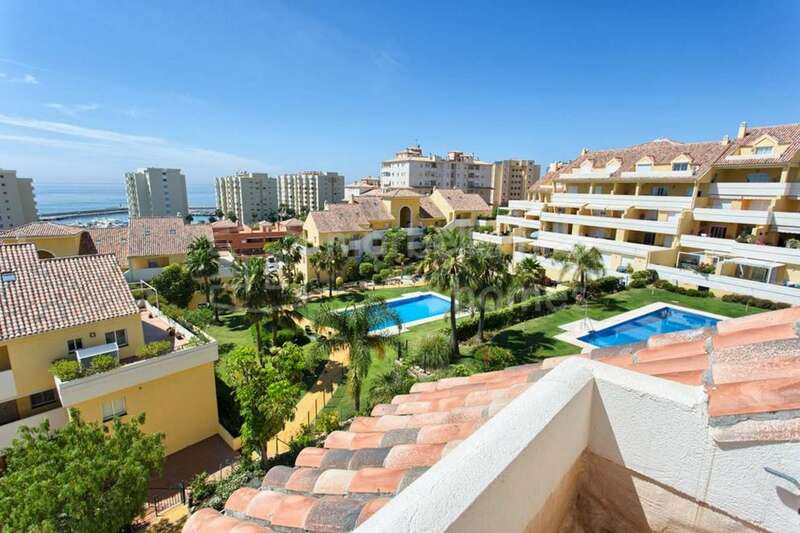 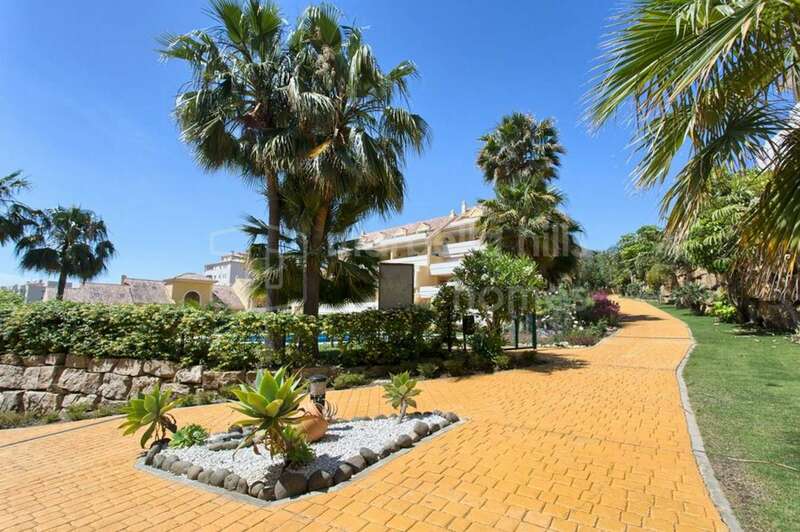 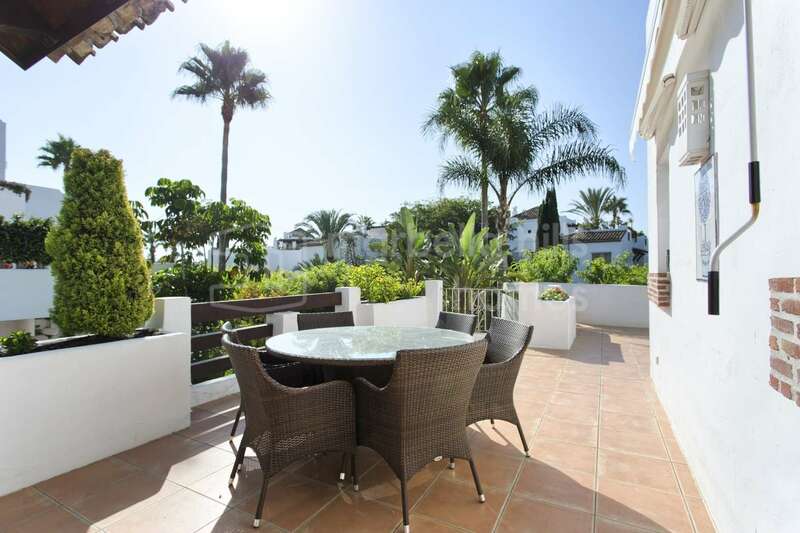 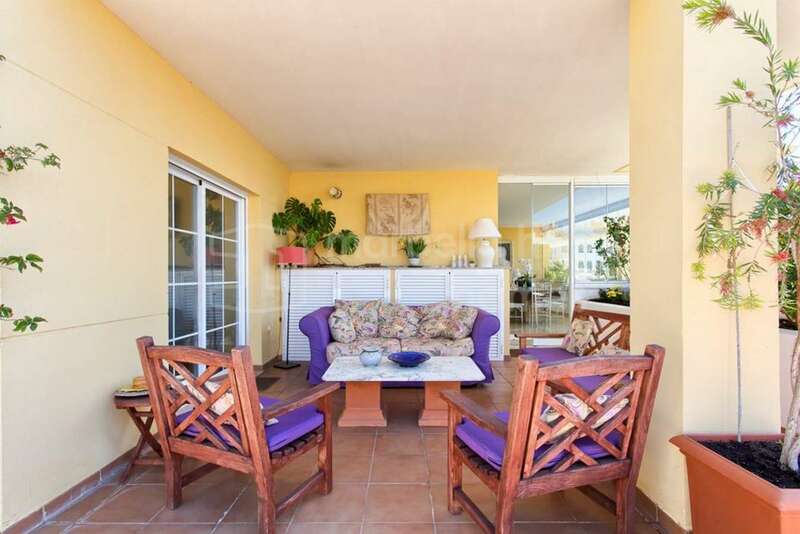 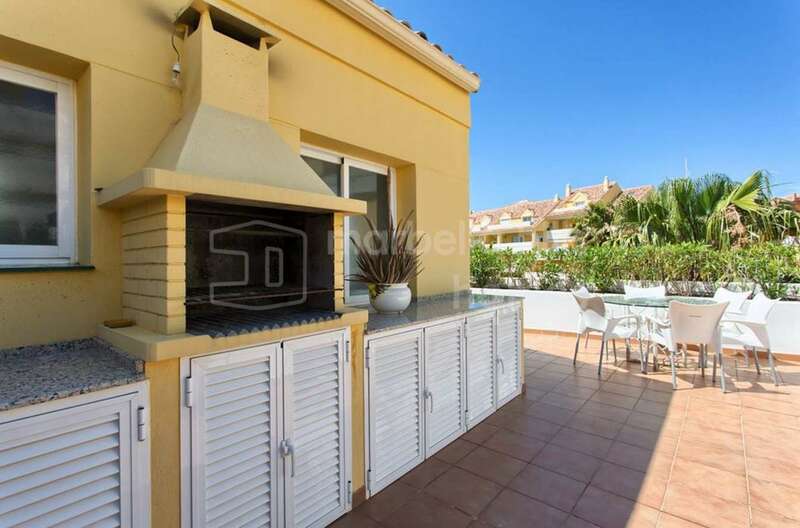 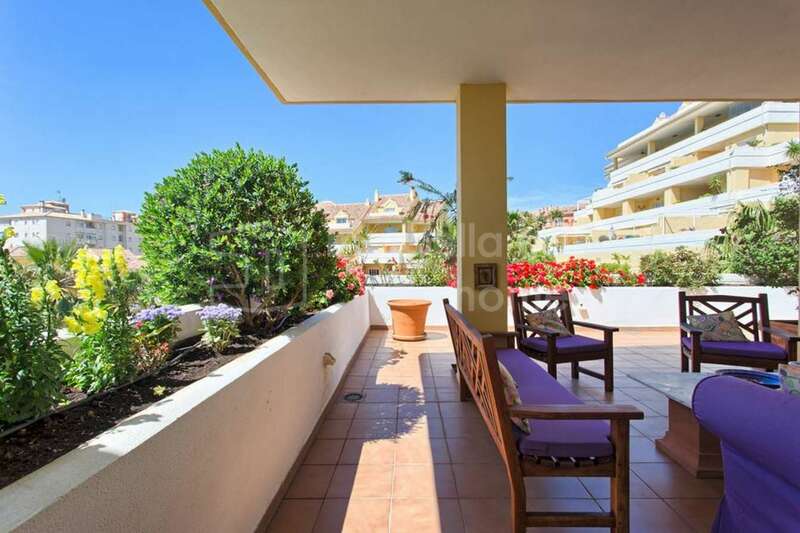 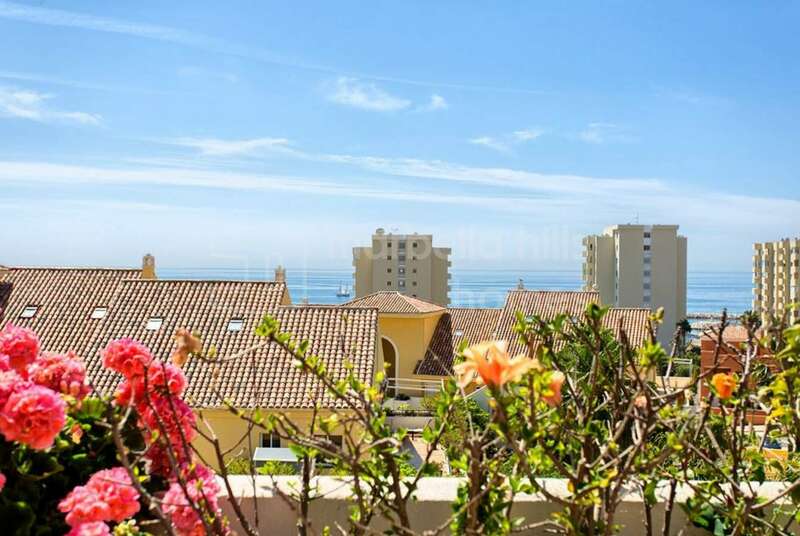 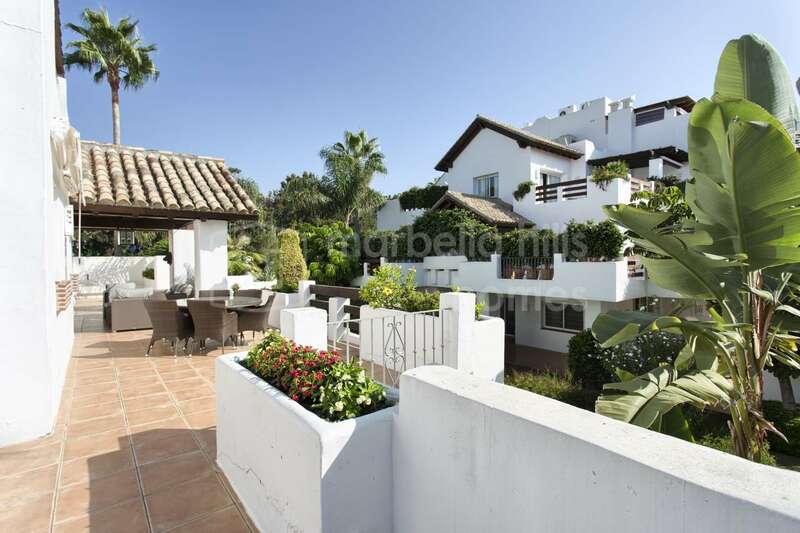 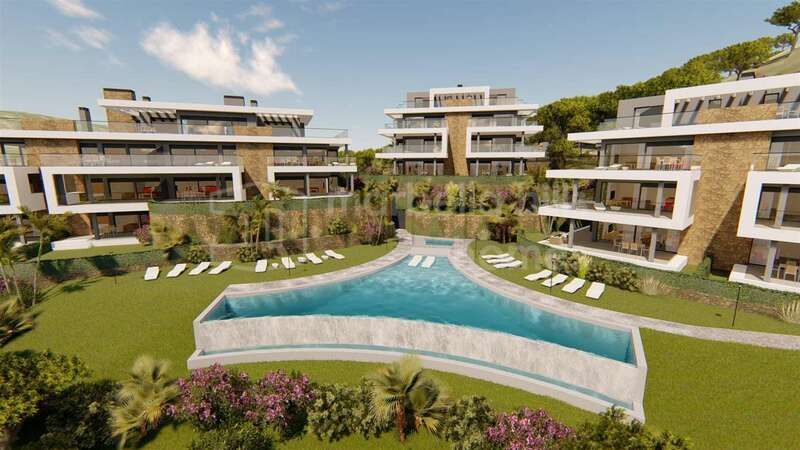 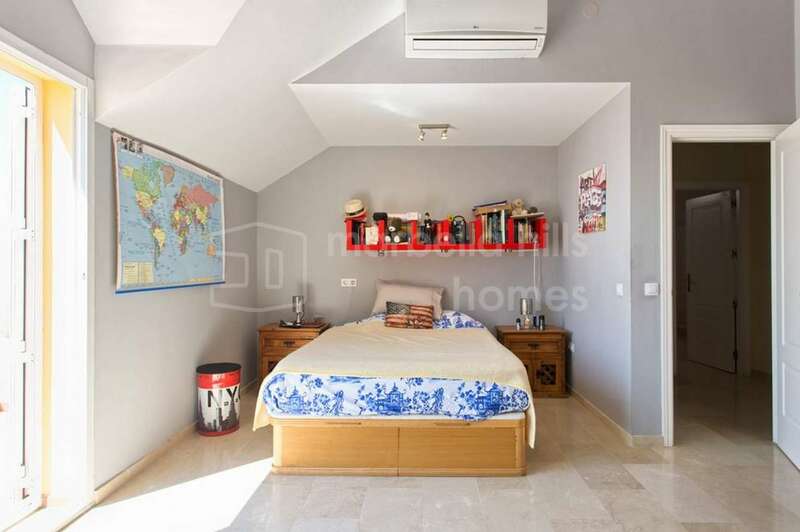 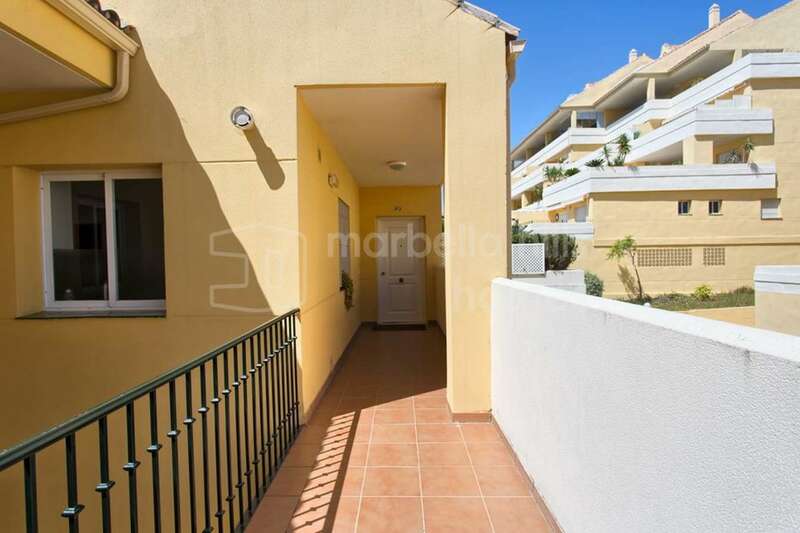 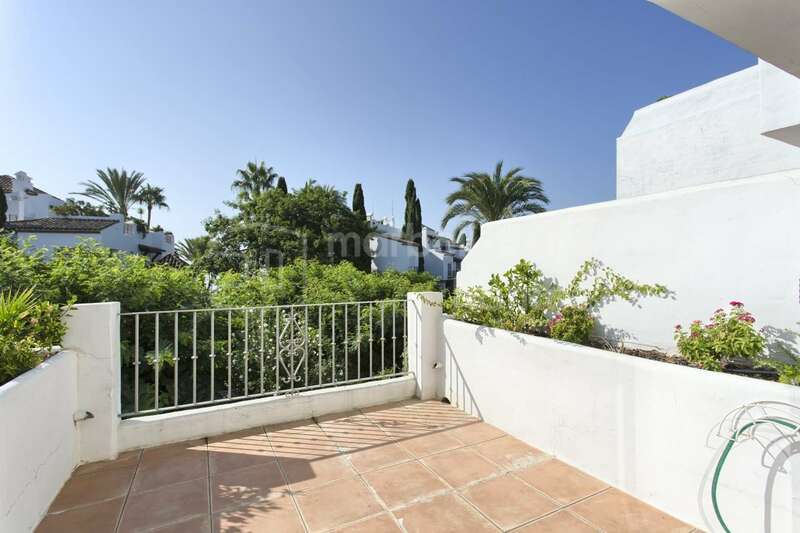 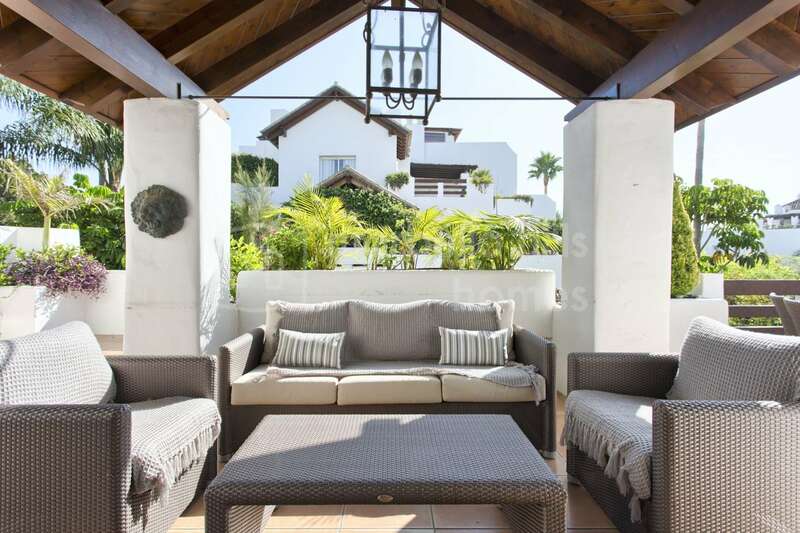 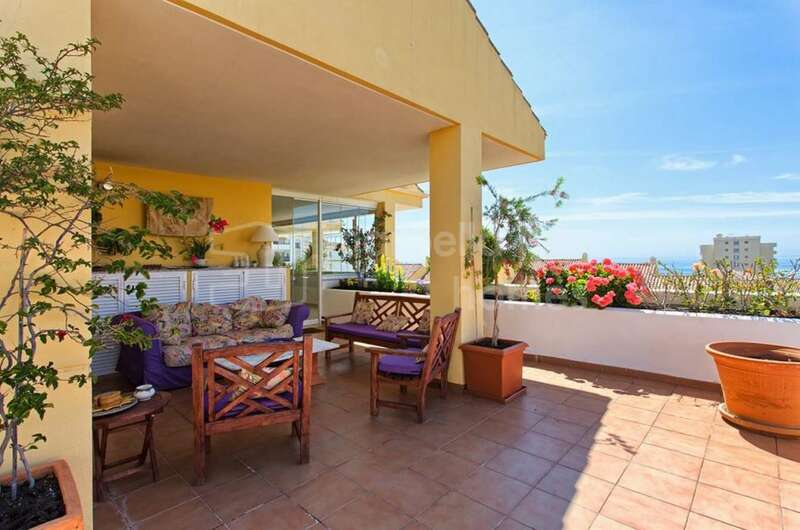 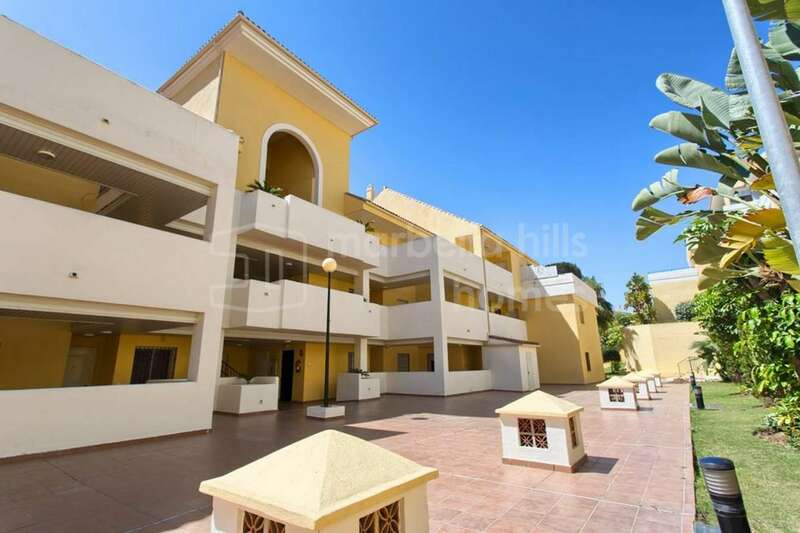 Superb duplex penthouse in a beach front commplex, just 5 minutes walk from Estepona, located in the private and secure residential complex La Alcazaba Beach – Sea View – Close to the beach and all amenities. 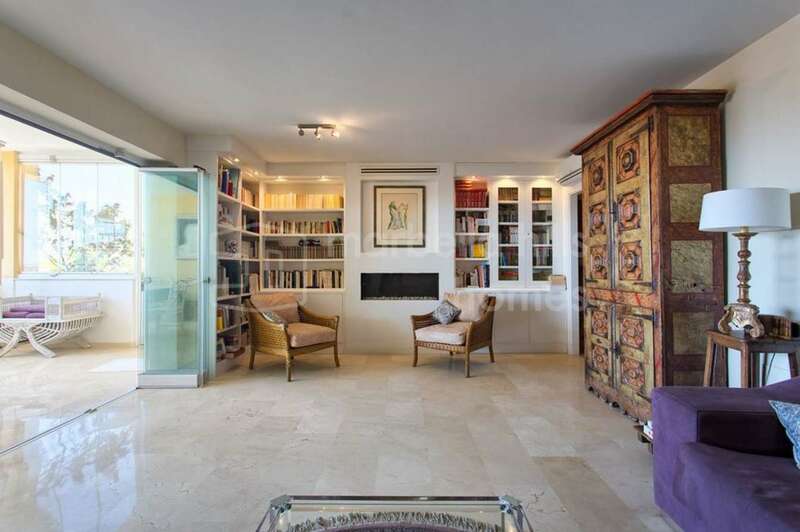 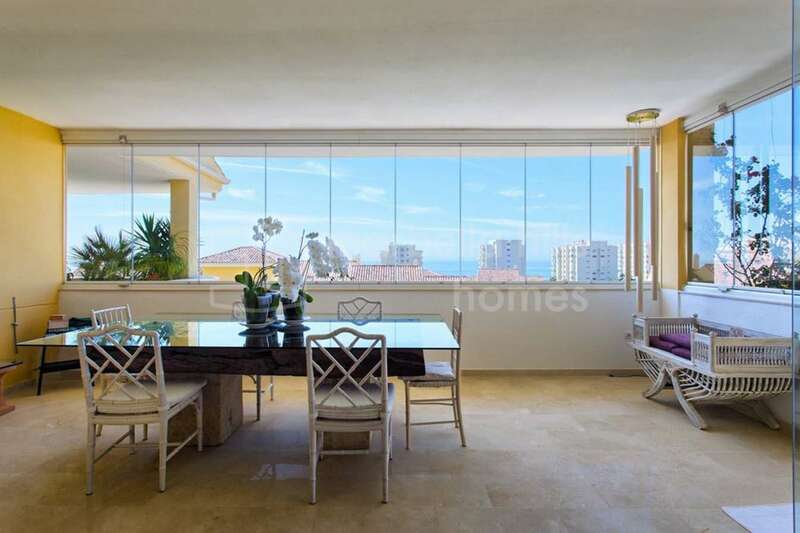 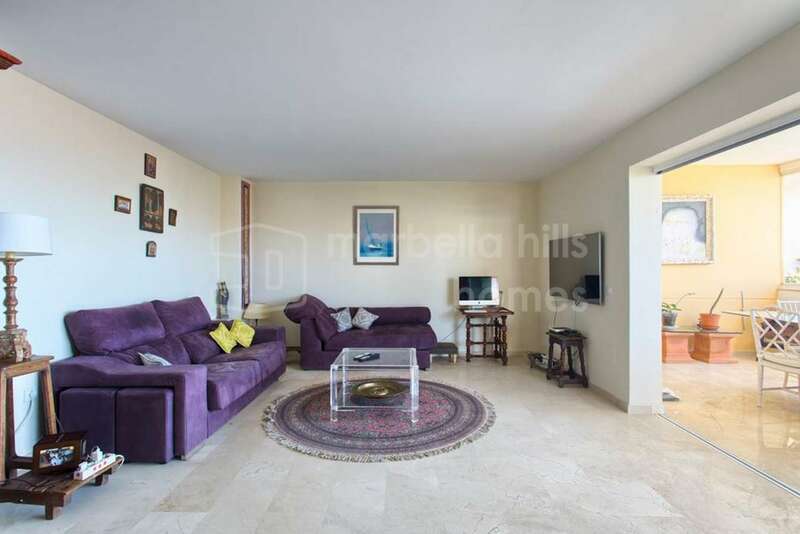 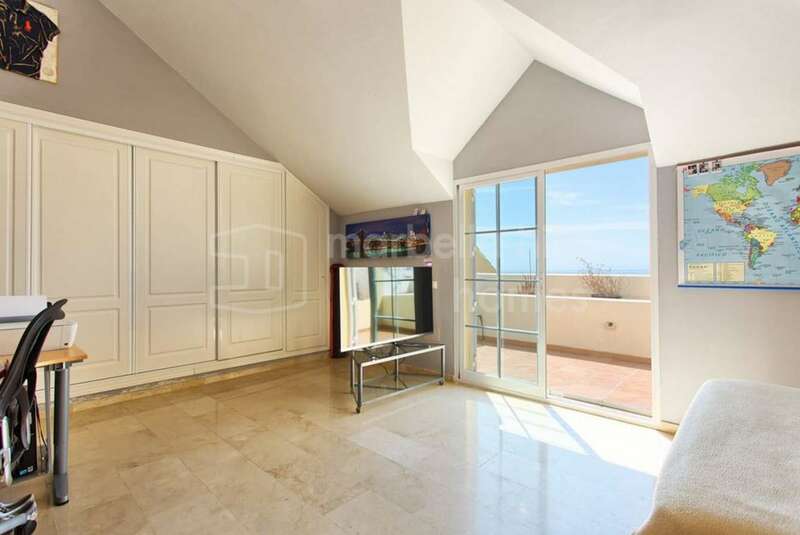 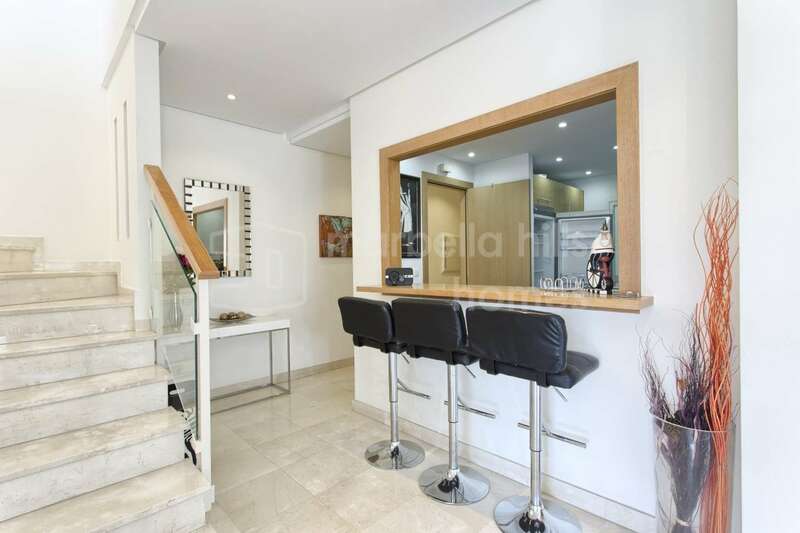 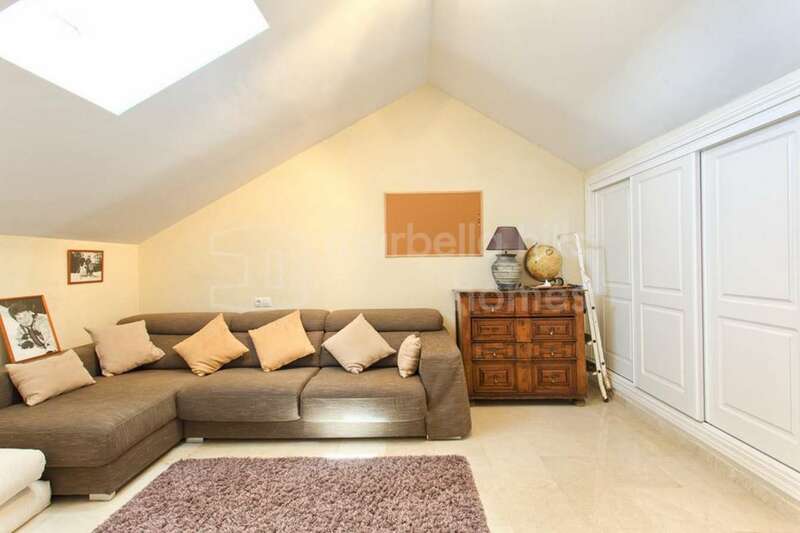 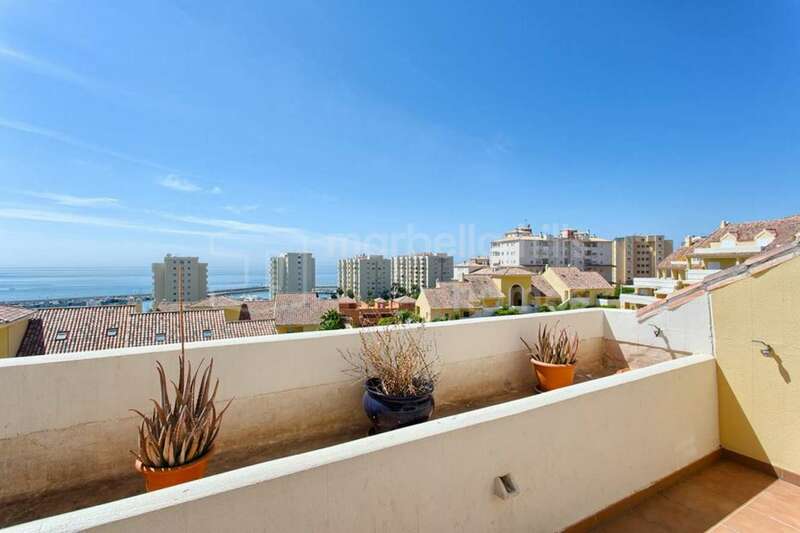 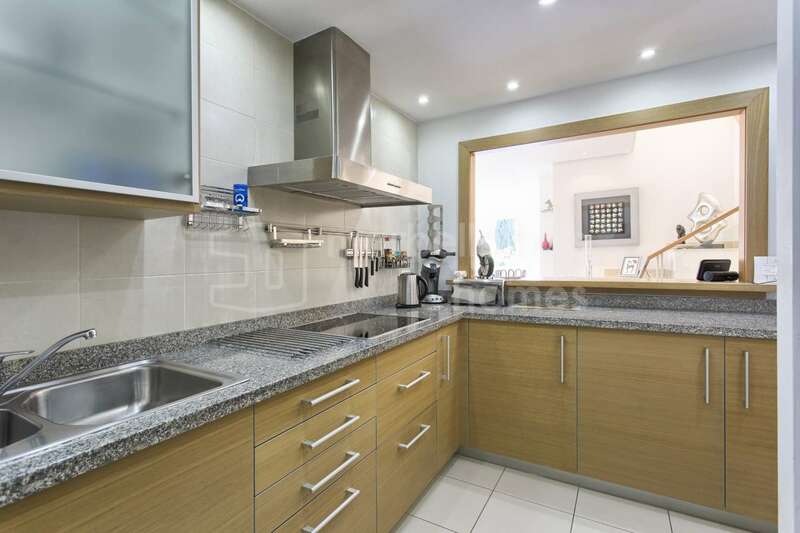 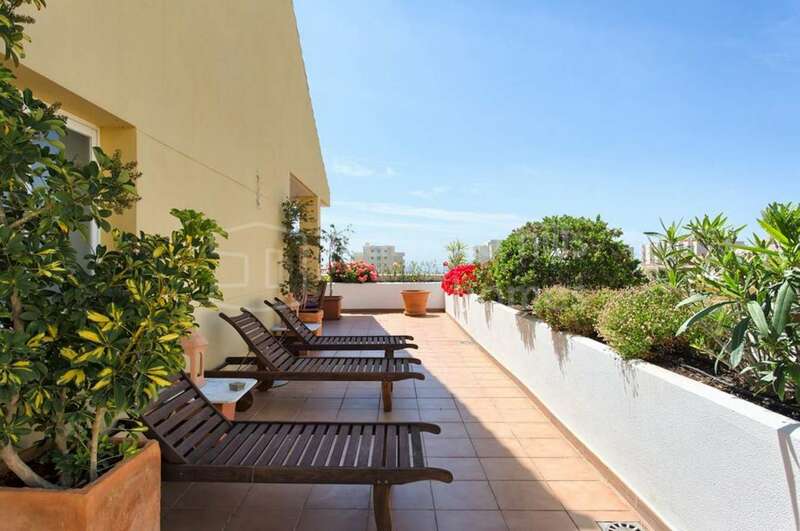 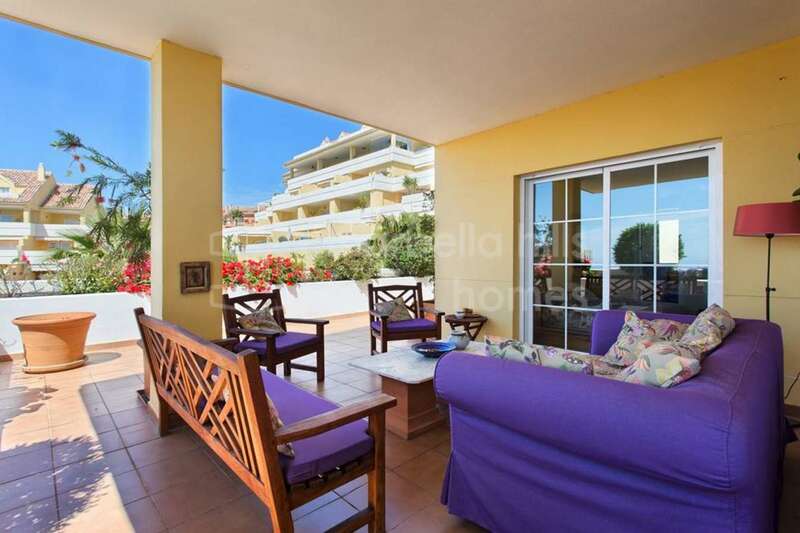 This exceptional Penthouse comprises on the main level a spacious living room – dining room with direct access to a very large terrace with sea views, a fully equipped kitchen, adjacent laundryroom, two guest rooms, two bathrooms. 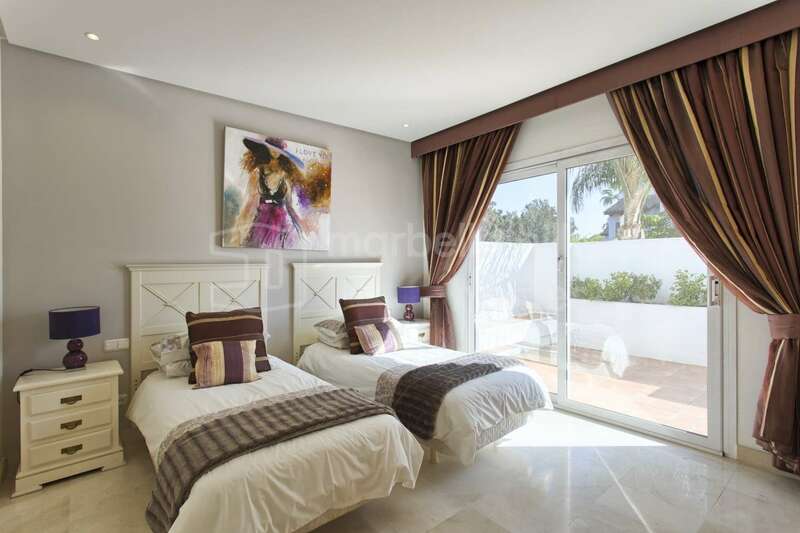 The upper level hosts the master suite with private terrace, sea view. 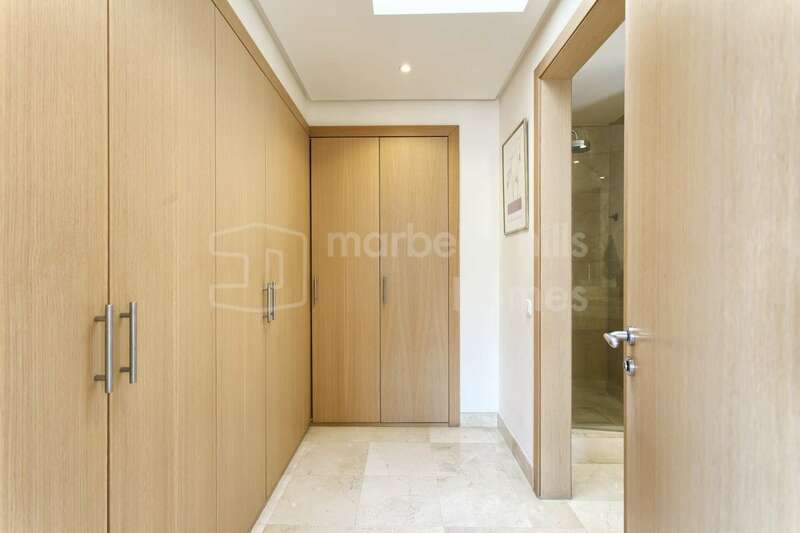 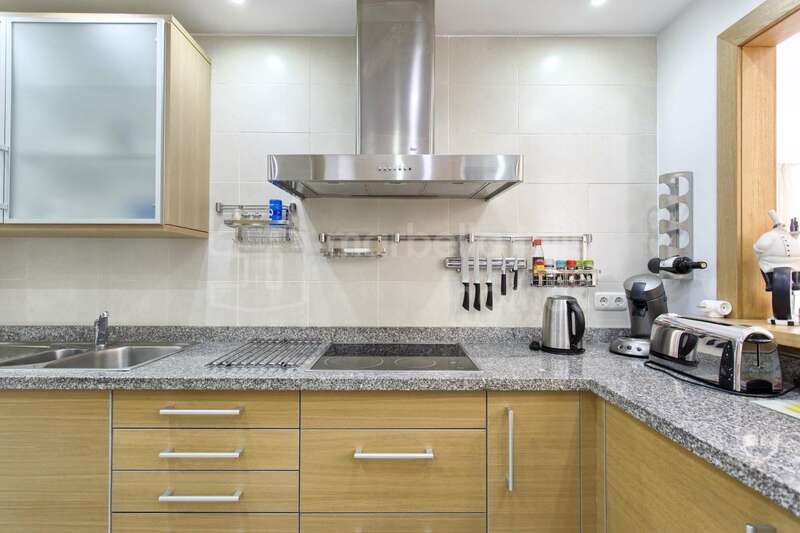 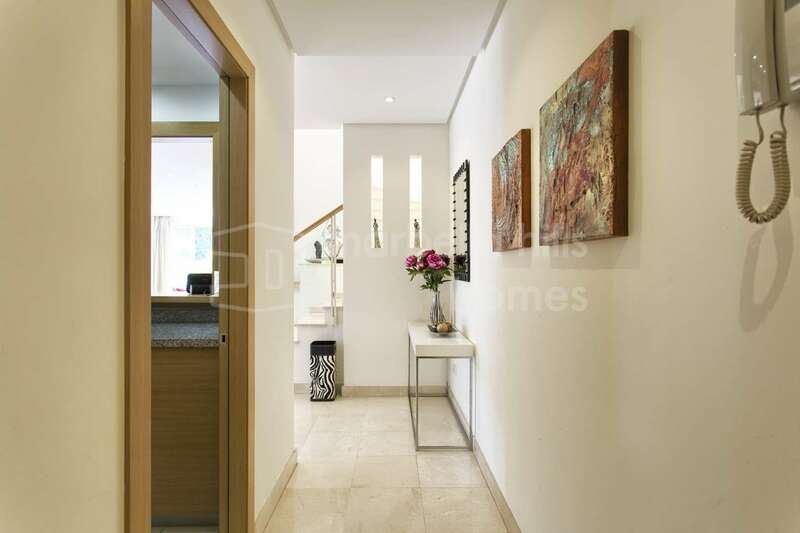 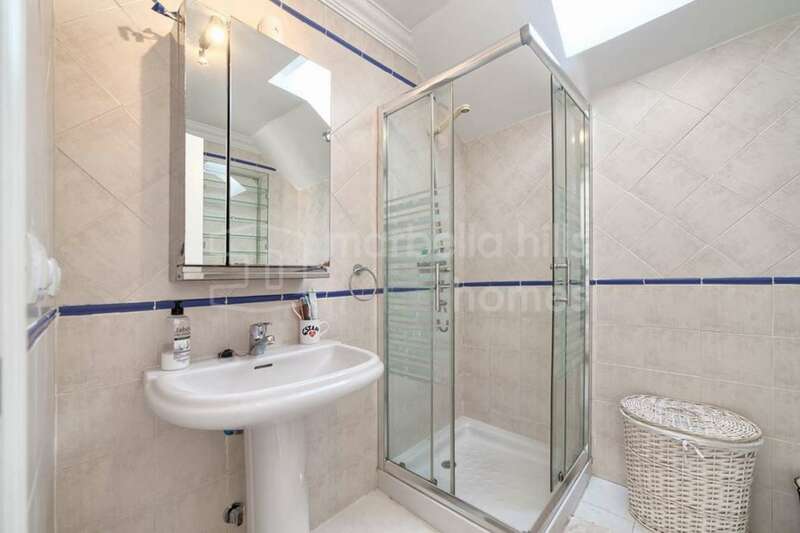 Two parking spaces in the underground garage and a storage room are included. 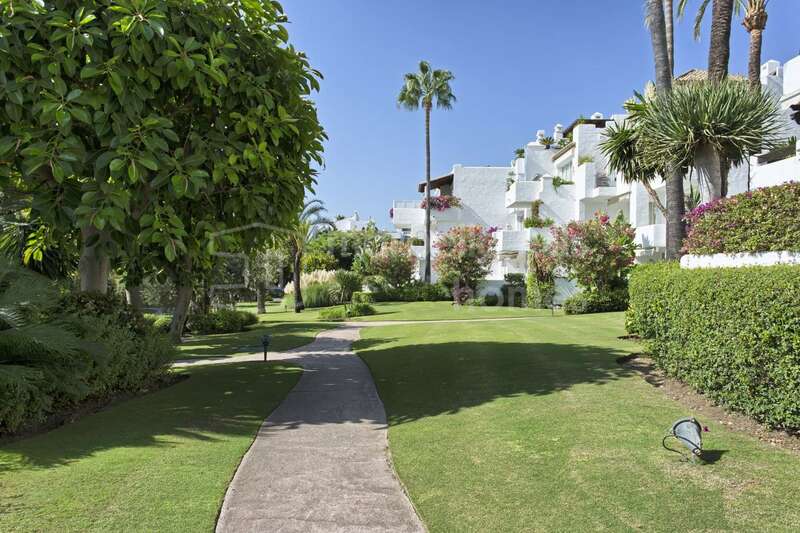 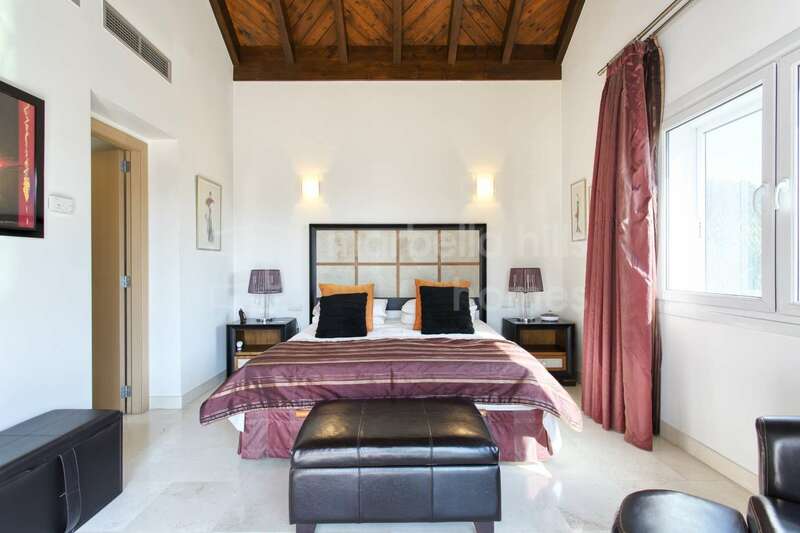 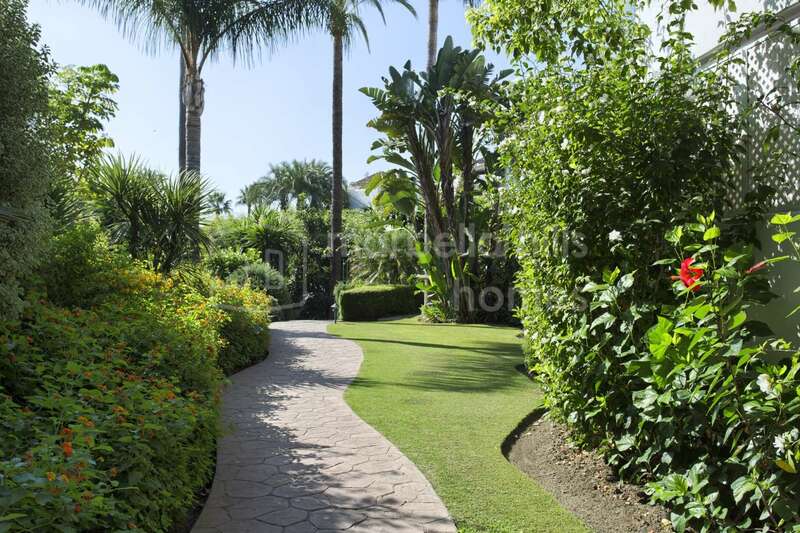 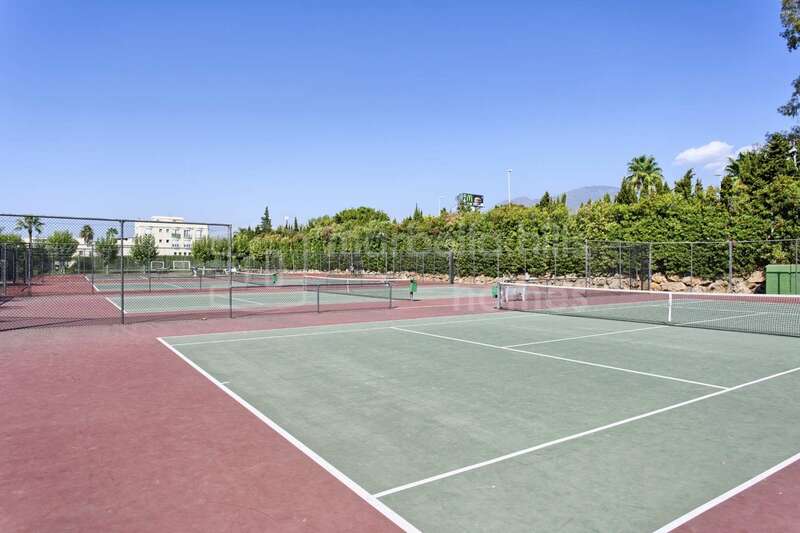 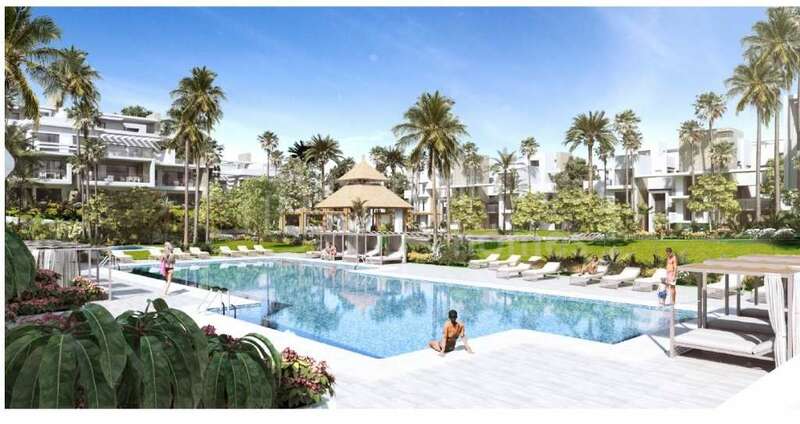 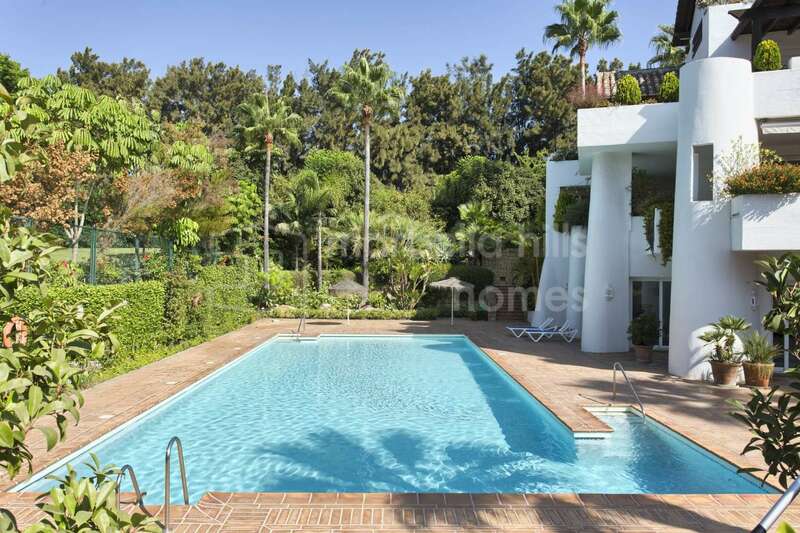 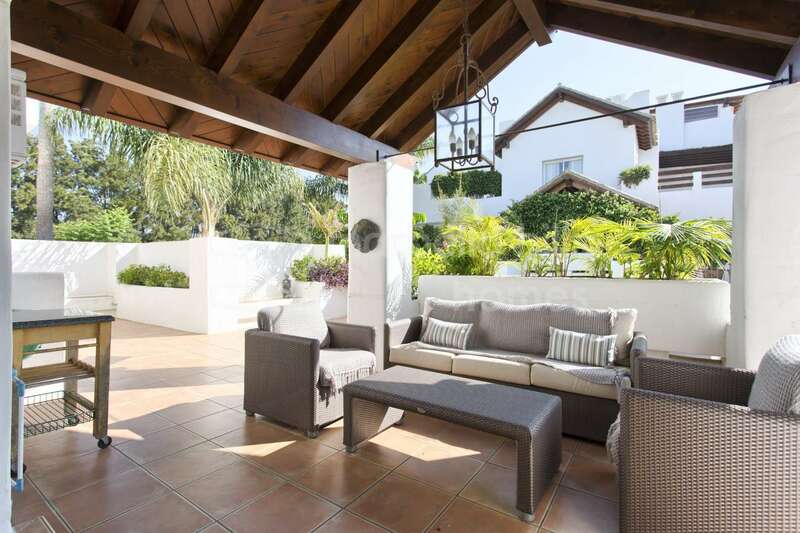 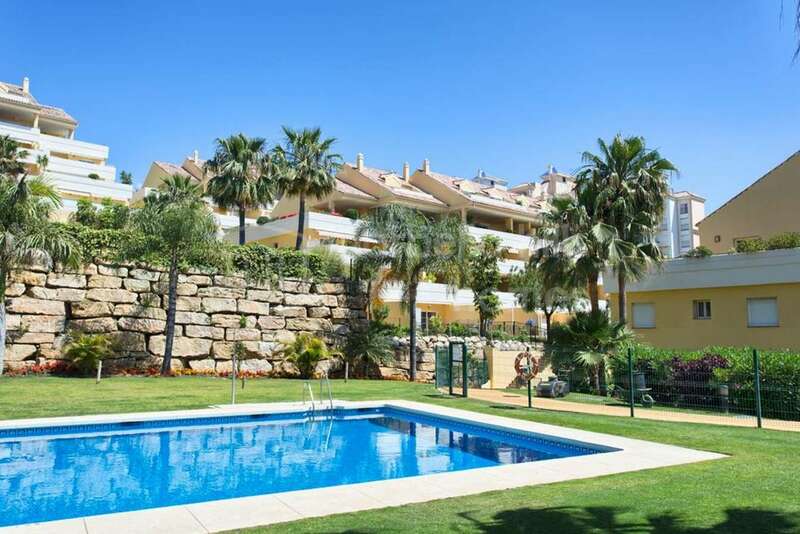 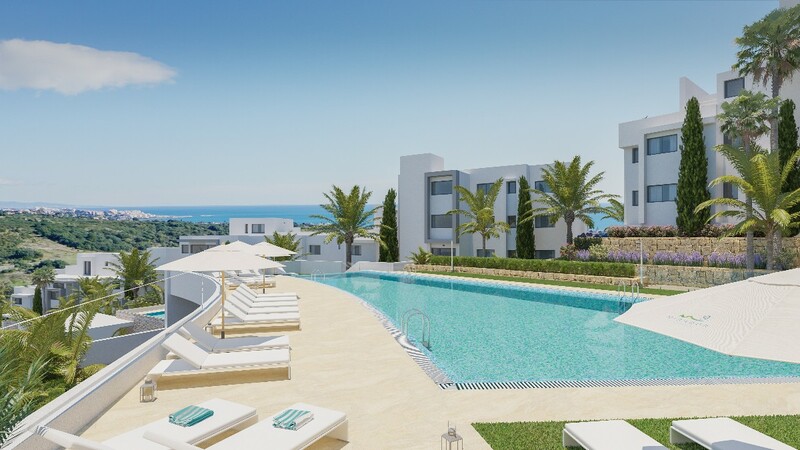 The residential complex of La Alcazaba has extensive mature tropical gardens, 7 swimming pools including a heated one, a fitness room, several tennis courts, as well as a renowned upscale restaurant, offering in high season a wide range of varied dishes. 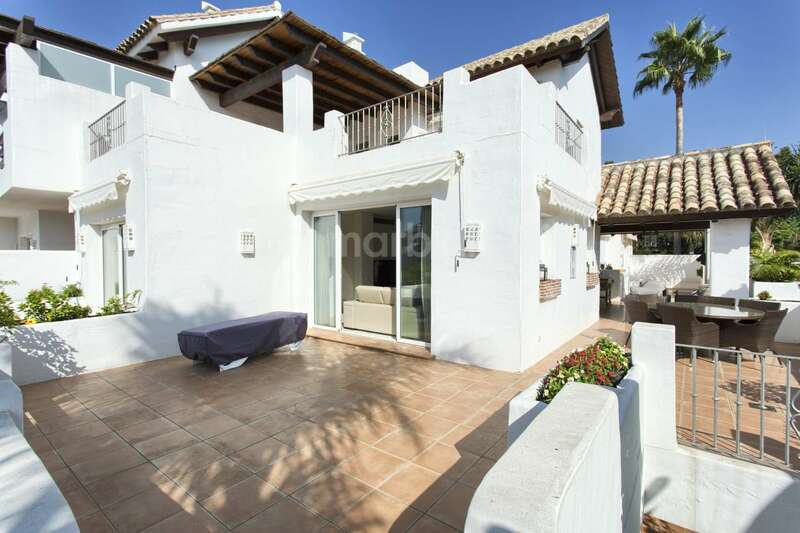 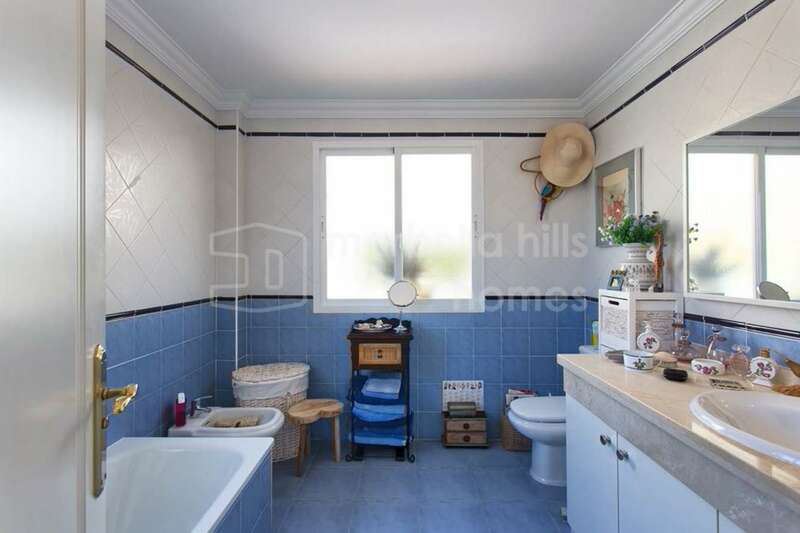 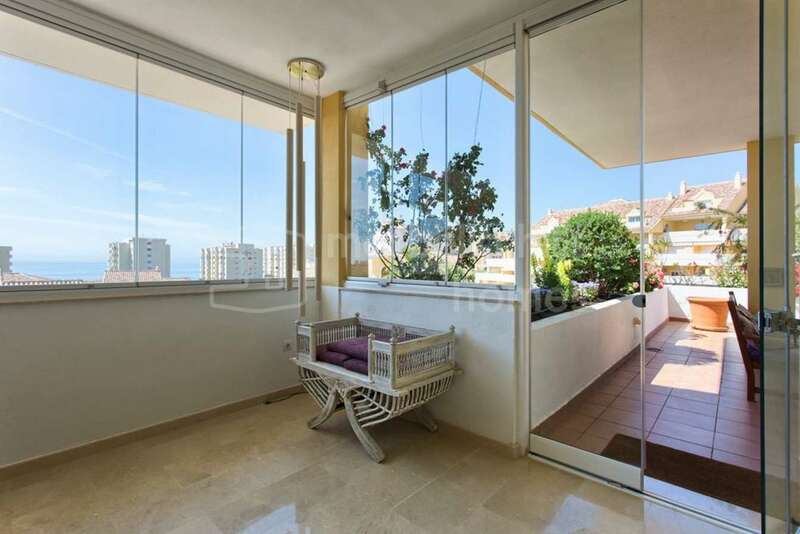 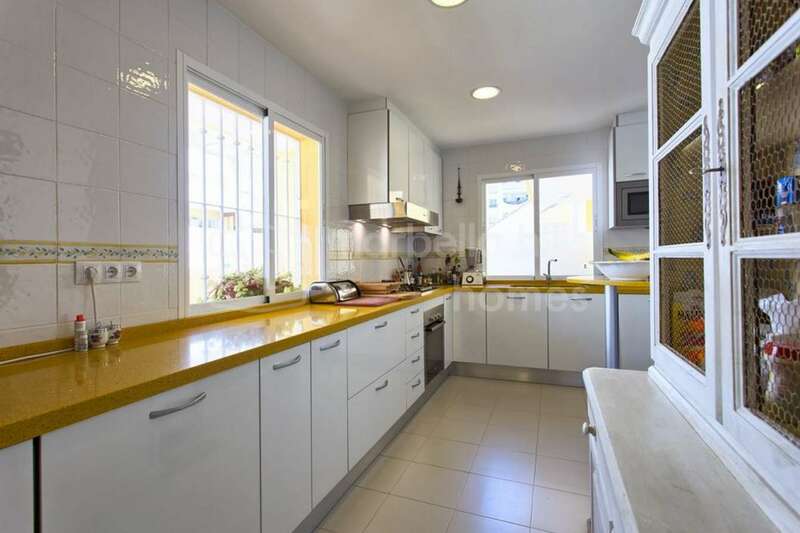 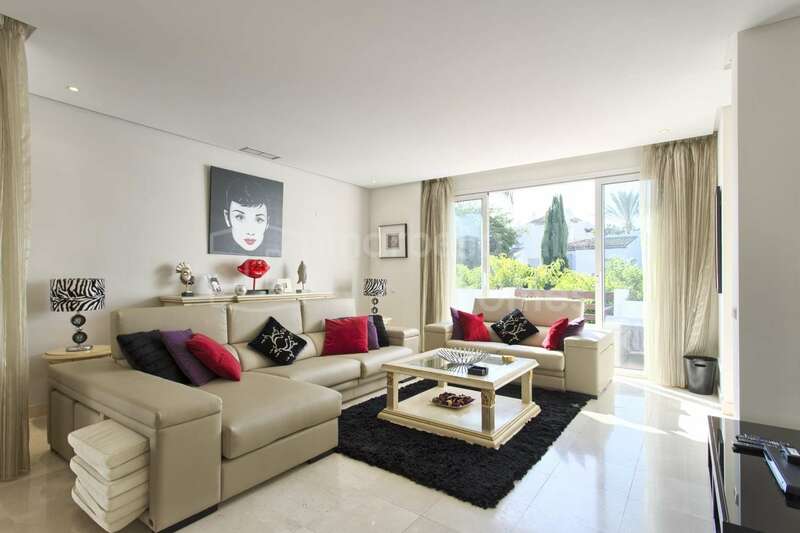 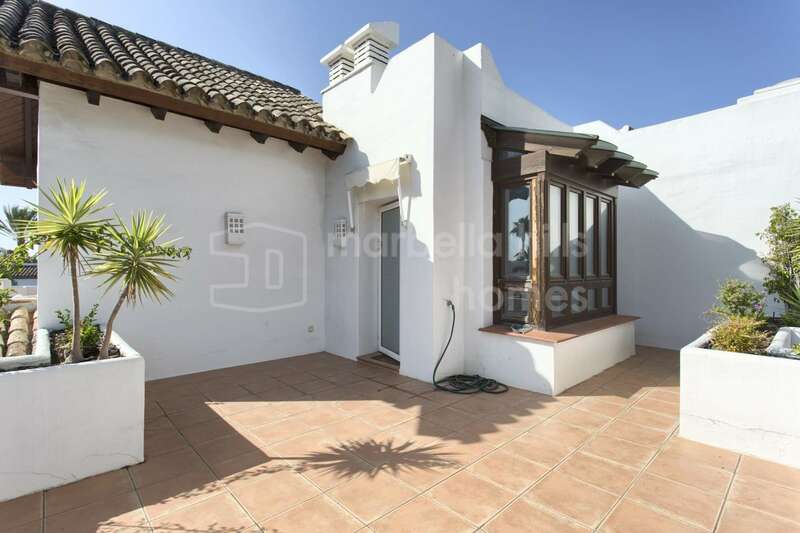 An ideal property for a dream holiday with a very strong rental potential. 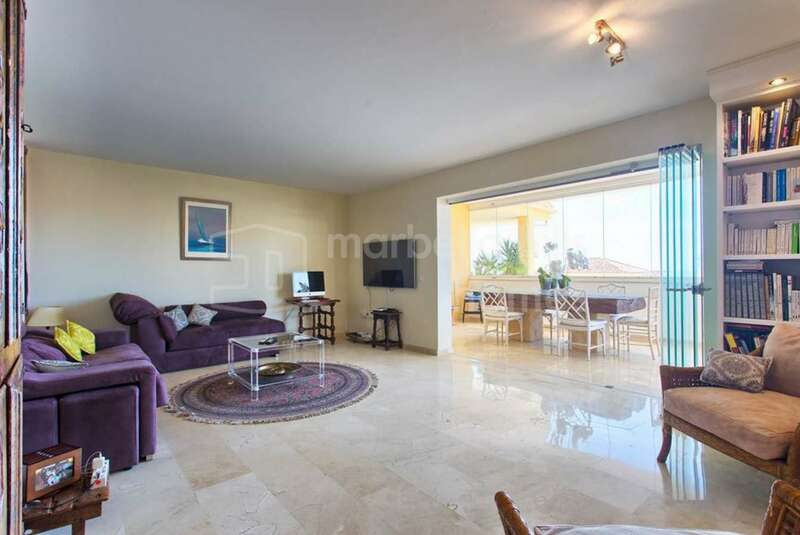 Fully fitted kitchen, Close to shops, Close to town, Close to schools, Pets allowed, Marble floors, Satellite TV, Guest room, Front line beach, Storage room, Gym, Double glazing, Dining room, Barbeque, Security service 24h, Kitchen equipped, Living room, Amenities near, Sea view, Heated pool, Transport near, Internet - Wifi, Covered terrace, 24h Service, Fitted wardrobes, Gated community, Air conditioning, Lift, Garden view, Pool view, Tennis / paddle court, Beachside, Underfloor heating (bathrooms), Close to children playground, Close to Sea/Beach, Close to Golf, Uncovered terrace, Fully furnished, Excellent condition.